Indoor air quality is not something that most homeowners think about on a regular basis. This is unfortunate, because the quality of the air in your home actually has a pretty big effect on your quality of life. Poor indoor air quality can lower both your health and comfort levels, which is why it’s in your best interest to keep it as high as possible. There are a number of great ways that you can keep your indoor air quality high throughout the year, some of which we’ve outlined below. In the middle of summer, it is pretty easy to think that staying cool is the only thing you need to focus on for your home. However, you also need to take steps to ensure that your indoor air quality stays high. Low indoor air quality can dramatically impact both your health and comfort levels all year-round. This is especially problematic during the summer, when people will often cut off the fresh air flowing into their homes by shutting doors and windows. Fortunately, there is a way to improve your indoor air quality without sacrificing climate control. 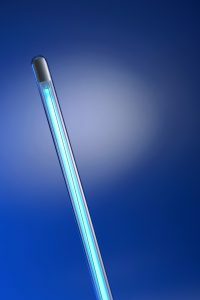 Most people have low indoor air quality because they have high amounts of microscopic airborne contaminants in their air supply. The average home has all kinds of airborne contaminants floating around in it, including dust, dander, mold spores, germs, and pollen. Long term exposure to these kinds of contaminants can cause a wide range of negative effects, from the flu to asthma. 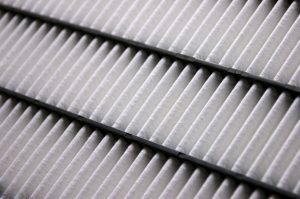 The best way to address these contaminants is to install an air filter or air purifier. Posted in Indoor Air Quality | Comments Off on Which Air Purifier is Right for Me? Staying cool is typically the number one priority when it comes to indoor comfort during the summer. However, there are other things that you should consider if you want to be as healthy and comfortable as possible. Namely, you need to make sure that your indoor air quality is as high as possible. Indoor air quality is affected by a number of things, but the two major factors are humidity and contaminants levels. If you want to know how to keep these factors under control, read on. Even here in Florida, staying warm is going to become a high priority as we move further into winter. Temperature isn’t the only factor you should be paying attention to this winter, though. Indoor air quality tends to suffer during this time of year, and can have substantial negative effects on both the health and comfort of homeowners. Follow our tips below on how to keep your indoor air quality high for the next several months. No matter what season it is, maintaining your ductwork is an important part of keeping your climate control system functioning properly. 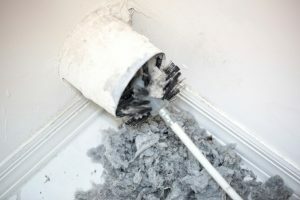 If the ducts are in poor condition, both your heating and air conditioning systems will suffer. 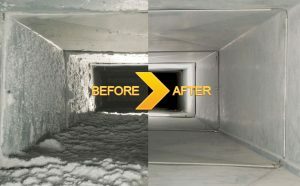 One of the most effective ways to keep your ducts in proper condition is to schedule duct sealing. Read on to find out more about duct sealing, and the benefits that it provides.